The Voice Application Software of Apple I phone 4S – A personal review. Today as I lay sick in our living room and watching the television, while surfing through several channel I found a very informative discussion regarding technology. I will not mention the title of the show and it was a rerun of previous episode. I always watch this show whenever it is possible. This episode that I was watching was about the Apple 4S and one of newest feature the SIRI voice application. The host and the guest where demonstrating how the voice application works, apparently there are three ways to activate the voice application, but once activity the owner needs only to press the middle button and speak then the voice would reply to the command or inquiry. Since I do not know how advance this voice recognition application from Apple, I watched to find out more. As the demonstration goes on, all the command and inquiry ask through the voice application was answered, yep it was all answered. I was pretty much surprise for these level of technology for this kind of voice application. What made it made advanced was while demonstrating the voice application, another Smartphone with another voice application was brought and these too were tested and again to my surprise this one failed miserably why? Because the few question that was ask by the host thru the phone, the voice application wasn’t able to answer any of them, not a single one was answer, also what is more apparent between the two voice application and Smartphone was the time it takes to process the voice command and inquiry while the SIRI voice application was responding in time much a like talking to a normal person, the other voice application on the other Smartphone was really taking too long and most of the time would be cancelled by the person on the show. Also the Apple I phone 4S was much faster in response time. Too bad for me it was a re-run and the show was cut from airing. Image by planetc1 via FlickrBut based from that few minutes of demonstration I was quickly reminded of another television show back in the early 90’s this television show was called “Star Trek: TNG” and on the show they have one central components that held it all together from the starship to the star bases and all the type of handheld gadget in that show one central component stand out from the rest and that is they fondly name and called the “Computer” which has the voice of a woman. How do they used this technology if you are a fan of the star trek TNG as I am, you will knew that they first address the computer before they issue a task for it. They would say “Computer” and then followed by the command or task they want the computer to perform and after performing the task of command the computer will response with the proper action or will ask for additional information. if the present information is not complete of sufficient for the task or command to be completed. Now based from the show that I just watched we have really come in a long way from science fiction technology to real technology. Although SIRI is not named computer, this voice application still reside and used the computer power of a small handheld device and is generally categorized as a computer. Now you the very eerie resemblance between Apple I phone 4S SIRI voice application and Star Trek’s Computer, although the level of artificial intelligence is still a big gap but these voice applications is definitely on the right path of getting there together of course with the development of the hardware side. One of the major fears of modern IT users centers around hackers becoming increasingly versatile in the ways they attempt to steal personal information and data. Once a hacker has gained possession of these sensitive details it is possible for them to commit various acts of fraud, exploiting them for commercial gain. Due to this it is imperative for computer users to invest in IT security solutions which will best protect them; whereas spyware detection software and anti-virus programs are a good start, there are more fool proof ways to successfully defend against hackers. Encryption is one such solution. By encrypting files, a user is protecting them from potential cyber-attacks or hackers and this solution can be employed as a preventative measure to varying degrees; ranging from individual folder and file protection to more complicated techniques utilized by professionals to protect larger or more sensitive files encryption is considered one of the most hack-proof methods of IT security. Encryption is a process of taking data stored on a system, server or network and scrambling this information so it becomes unreadable to anyone who does not have the right password, or “key”, to access and read the original, untainted information. There are a number of different types of encryption keys. The first of these are known as “public keys” and are shared between companies or users who send encrypted information to each other over the internet or through portable devices such as USB drives. This means they are able to access and read the files with a degree of safety as anyone attempting to intercept the information will be unable to “unscramble” it without the correct encryption key; thusly all sensitive details will remain impenetrable and of no use to potential hackers. Private encryption keys represent IT security solutions which are specific to a certain network and will have only the administrator or IT tech of the company be able to access the private key information. How Does Encryption Prevent Hacking? Without an encryption key it is impossible for a potential hacker to access the information contained within the encrypted file, folder or network; keys are essential for unscrambling encrypted data and getting access to the coded information contained within. Due to this encryption represents a simple and practical method of adding protection on top of that already gained from anti-virus programs and spyware packages. One of the main benefits, however, from encryption is how simple it is to do. To encrypt a file all that is necessary is right clicking on the folder it is stored in and, from the options that appear, clicking on the advanced attributes setting. The next step will often be simply selecting the option that allows for compression and encryption of data. All files that are kept within the folder will become automatically encrypted; this is followed by a prompt to back up the encryption key. Larger businesses will usually have much bigger networks, a greater degree of online information and sensitive corporate information to protect and, as such, will require IT security specialists to use more advanced techniques to protect this data. An example of more complicated encryption techniques being needed is in the example of online stores who will have any number of customers inputting their credit card or bank details into a system; if a hacker were to get hold of this information an untold amount of money could be stolen. This is a guest post by Namanyay Goel. He usually Blogs about Technology Tips and Tricks, and gives reviews. Read his main Tech Blog - Create-n, or, his Facebook only Tech Blog - Faceb Tricks. Wishlistr is an easy to use web-based application that will help you collect, organize and keep track of the things you want. It also lets you share those things with friends and family. What's on your wishlist? Found a nice shirt? Thinking about buying that new DVD? Or the latest album from your favourite group? With Wishlistr you can collect all the things you want in one place and add things to your list from anywhere on the web by simply pressing a button! Wishlistr lets you organize your wishlist items in to suiting templates for birthdays, weddings, holidays and more. You can easily edit or remove items on your wishlist without ever reloading the page and sort them by simply “dragging and dropping”. Wishlistr makes it easy to share your wishlist with everyone you know. Send it to friends and family, let the most dedicated subscribe to your list via RSS or publish your wishlist on your web site or blog. Never again will you receive a gift that you did not want. Are you one of those people who have a long list of things you want, but forget everytime someone asks you what you’d like for a birthday gift? Or are you a techie, with a blog and a site and everything, but users don’t wanna contribute in cash and you wish you had a wishlist from which users could choose and contribute to you from? Worry no more! A solution, Wishlistr, is here! Wishlistr is an online product which helps you create and manage wishlists, and its free! To make a wishlist using Wishlistr, you have to signup for a free ID. You can also sign into Wishlistr using your yahoo, gmail, blogger, wordpress, technorati ID. Once you login, you have a option for creating a list. Go on, Create one now. ADDITIONAL INFO - Price, and some of the features you would like in that. Also recommended is that you change the theme from default, as it doesn’t look too good. I’ve changed mine to mordern. You can import your Wishlist from Amazon or del.icio.us bookmarks, and you can even share it to Twitter, Facebook and the like! ● You can add the wishlist to your site/blog. Use the link of the item in amazon/ebay etc in the url, and ask your users to get you one thing from the list to support you. ● You can mantain the wishlist online, so when Christmas/Diwali/Your Birthday Comes, you don’t forget something to ask from relatives. Hope you found a good use of wishlist. Share your with us now! Net-books are little computers that are receiving big attention these days. Net-books are actually mini-notebook computers with limited applications. They are designed to be extremely portable, allowing internet use while out and about (hence the "net" in net-book). A net-book has a screen size of twelve inches or smaller and is very light-weight, generally less than three pounds. These energy-efficient mini-computers are perfect for email, chat, Web surfing or even movie watching. Most designs out now run Windows XP or Linux operating systems and are not intended for extensive data storage or complicated programs like Photoshop or 3D games. However, at less than $400 they may offer the perfect solution for consumers who want the newest gadget at a reasonable price. It is the price that is posing a problem for manufacturers. It was likely that the net-book was created to complement the notebook computer; a consumer would want both to serve different purposes. But as the economy has gotten tougher, people are buying the cheaper net-books at a faster rate. "... the low price tag that makes them such a hit these days means less revenue and profit for PC makers than what their full-size counterparts produce," said tech columnist Dan Zehr. Last fall, of the top-selling laptops on Amazon over half of them were net-books. An analysis on Barron.com noted net-books "could dent Mac-book sales." This was particularly true during the back-to-school and holiday shopping periods. Of course, sales of iPhone and Blackberries are not being impacted in the same way as notebook computer sales, as they hold a different niche in the market. So are net-books worth the hype? That depends. If a consumer is looking for a powerful machine to be able to perform typing-heavy applications on-the-go, he would be better served sticking with a laptop computer. John New, senior manager for global product marketing at Dell Inc., said the net-books work nicely for portable entertainment, but they are not intended for creating content or long periods of use. That may be the net-books biggest problem. While they offer a longer, more in depth Web experience than a smart phone, it is considerably shorter than a laptop computer with a larger battery capacity. The net-book allows use between 30 and 45 minutes, which is significantly less than most plane rides. If the little computer with the little price tag does prove too irresistible to pass up, there are a few things to consider when purchasing a net-book. First, the price is budget friendly, but the consumer should make sure the net-book is user friendly for his individual computer needs. It's not a great price if it sits unused. There are choices on operating systems, so the consumer should make sure they understand how to use what they are getting. Finally, try several out to make sure screen and keyboard size make for comfortable use. Also, as PC manufacturers and retailers are adjusting for the net-books popularity they are offering deals with notebooks and net-books packaged together. They are not exactly on par with two for one deal, but it may be the best deal in the long run. Any business owner or manager knows how important printers are to success. When the printers are down productivity suffers, and even the most robust business can grind to a halt. While many large companies can afford to hire professionals to troubleshoot and maintain the printers in the office, many smaller business owners find themselves wearing the hat of the printer repairman. Knowing how to diagnose and solve common printer problems can save those business owners lots of time and money, while at the same time keeping the business productive and profitable. While there are many different kinds of printers, made by a host of printer manufacturers and wearing a number of name and model badges, most printer problems break down into a short list of categories. Understanding what these breakdowns mean, and learning to diagnose the parts most likely to cause those problems, is a big part of successful printer troubleshooting. Paper jams are perhaps the most common of all printer complaints, and they can also be one of the most difficult to diagnose. When a printer begins suffering from persistent paper jams, one of the most important steps is to look for a trouble code on the printer. If such a code is present, refer to the manual that shipped with the printer, or the manufacturer’s website, for information on how to clear the jam and prevent it from recurring. Paper jams in laser printers are often the result of worn out rollers in the paper trays, so it is important to check those rollers when those jams occur on a regular basis. Most modern printers make it fairly easy for users to change the rollers, and it is a good idea for printer owners to keep a number of extra rollers on hand. When changing worn rollers, be sure to refer to the printer’s user manual, or instructions on the manufacturer’s website. Sometimes printer users will discover to their dismay that the ink rubs off the page easily, and this problem can easily result in a stack of unusable paper and hours of wasted time. When the ink rubs off the pages easily the most likely culprit is a defective or worn out fuser. Again, most modern laser printers make it fairly easy for printer owners to swap out a fuser cartridge, but it is still important to carefully follow the directions that came with the replacement cartridge. As with rollers, keeping an extra fuser cartridge on hand for each printer model can save a great deal of time and hassle. Spots or other imperfections on the printouts can also be the result of a worn out fuser cartridge, so it is important to check the fuser when this problem occurs. If changing the fuser does not solve the problem it may be that the printer simply needs a good cleaning. Ink from the toner cartridge can often leak into the interior of the printer, causing spotting on the pages. Cleaning the printer with a specially designed cleaning cloth can often put the problem to rest. If the problem continues it may be time to change the toner cartridge. As toner cartridges age they can begin to leak and cause other problems. If spotting is seen on the pages it is important to look carefully underneath the toner cartridge for loose ink and to remove any ink that is found. If ink is continually found inside the printer the toner cartridge is probably leaking and should be replaced at once. This is perhaps the easiest to solve of all printer problems, and one of the most common. If the printouts begin to appear light, the most likely cause is a worn out toner cartridge and replacing the toner cartridge should resolve the issue. If the toners seem to wear out too quickly, it may be a good idea to look into changing brands or suppliers. Each toner cartridge should come with an estimated life, and it is important to monitor actual usage to ensure quality service when buying printer consumables. There is one thing you notice when you first pick up a BlackBerry Bold 9900 contract and that is the notable difference in shape of the new device compared to earlier versions. 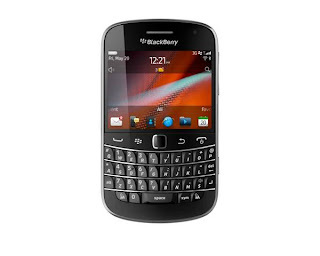 It is far slicker than some of the recent BlackBerry attempts and has little excess on its newly streamlined body. This is very impressive, though not as much as the feel of the QWERTY keyboard, which really leaves a very positive feel in the hand. 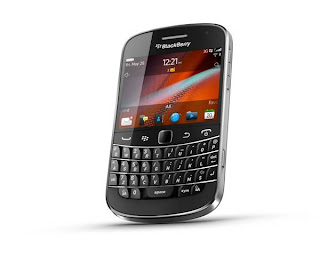 The screen on the Bold also feels fantastic and after using the original BlackBerry Bold you will be relieved that BlackBerry had done a better job with this. This display is a 2.8inch one that offers nice contrasts and good colours. Though it is only a 640x480 display it looks well because of the displays diminutive size. The phone itself responded well to use and you can see the difference made by the 1.2GHz processor almost immediately. 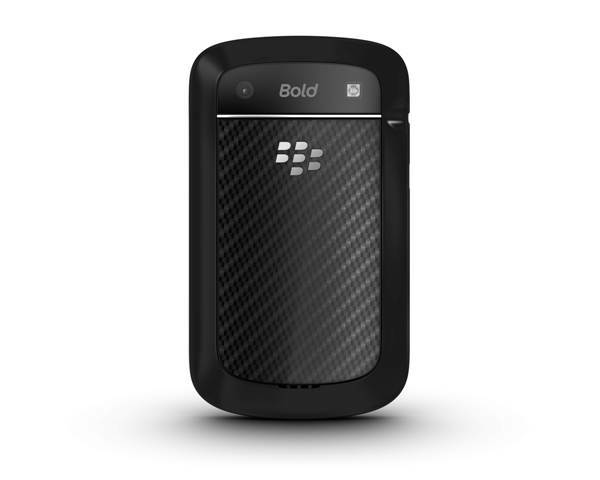 The device is quick and has no lag issues like some of the previous devices we have used from BlackBerry. This is in no way hindered by the new operating system, OS7, which goes a long way in speeding up the phone. This system is a lot more intuitive than the previous ones and goes a step in the right direction at pushing RIM up with iOS and Android – though there is some work to do just yet. 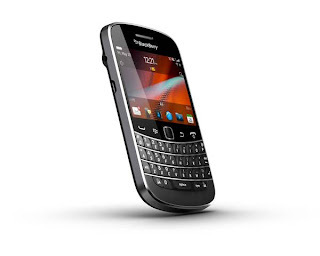 The preloaded applications, such as Docs2Go and Drop-box, are extremely handy and give you a sense at where BlackBerry is aiming this phone. The phone also had a good camera and we found the auto focus to be very good. It was also well capable of recording 720p videos, which was a relief and we enjoyed the fact it was an improvement on the last Bold's camera. The Bold 9900’s browsing experience is very good as well, although a lack of support for Flash means that some sites don't work which feels a little limiting. Saying that, the mixture of a QWERTY keyboard and a touch screen had its advantages when browsing and the pace at which the device delivers the pages onto your screen is quite exceptional. The device also has NFC which is great, it’s just a shame its early days yet and not so many places use right now. With more and more manufacturers throwing this into their phones though, it won't be long before mobile payments become as commonplace as chip and pin or even cash. 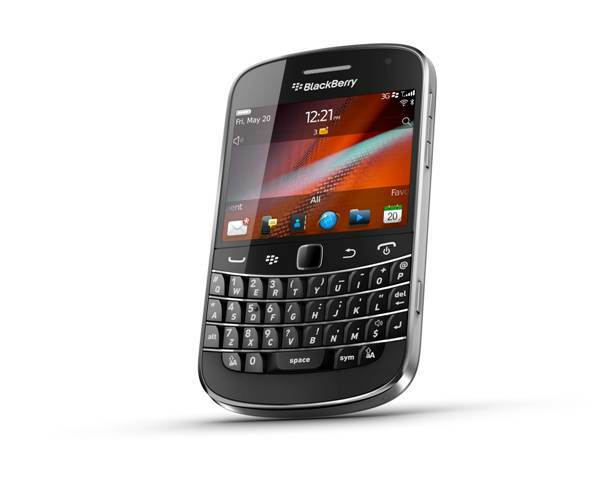 Overall we enjoyed the Bold 9900, it’s a big improvement for BlackBerry and one RIM and fans will be happy with. Bringing another innovation to the world of technologies and gadget, Microsoft launched a website on October 11th, 2011 that cranks out security scores for the number of editions of Internet Explorer which is its own browser and also other browsers built by the rivals of Microsoft, Google and Mozilla. This new website is named yourbrowsermatters.org and it works by running a browser through a checklist of security features and then gives a score that is out of a maximum of 4 points. It is not surprising that the highest version of Internet Explorer (IE9) has the highest score of 4 out of 4. The previous version of Internet Explorer, IE8, which was launched in 2009, had garnered a score of 3. 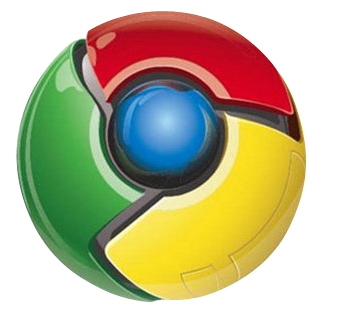 Chrome 14 of Google, which is the current stable build, which was launched last month, has settled on a second position by getting a score of 2.5 out of 4. Another browser which is a month old, which is Mozilla's Firefox 7, had generated a score of just 2 out of 4. 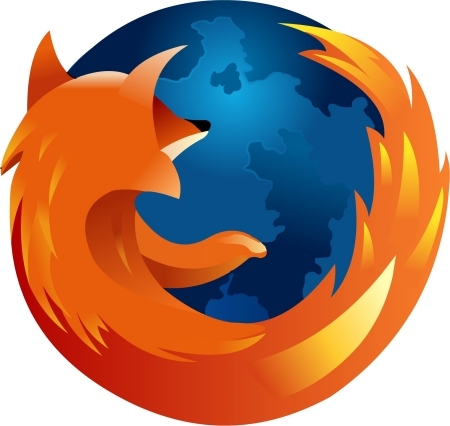 The other two browsers which come amongst the top five most used and popular browsers, Opera Software's Opera and Apple's Safari didn't even garner any score as they weren't considered to be competitive enough by Microsoft. The message displayed for both of these was "We can’t give you a score for your browser". According to Microsoft, this new website and its scoring exam have the purpose of illustrating the insecurities of the older browsers. As a result it is quite anticipated that IE6, which is a decade old and which Microsoft has been keen to kill, had scored a 0 out of 4. It also exposed a prevalence of different web based threats that will try and trick users into making poor decisions. Microsoft’s chief IE marketing executive, Roger Capriotti, said that the ranking was based on browsers that provide better protection against the most common threats such as malware which are socially engineered. Microsoft had publicized the ability of IE8 and IE9 for blocking malware for quite some time with studies done by NSS Labs as examples. According to these studies some of which was paid by Microsoft itself, IE9 had the sustained capacity of blocking 99.2% of all the malicious links and Web-hosted malware that it faced. These results displayed by Microsoft haven’t been commented on by Google and Mozilla yet, although Microsoft has welcomed comments from them. Graphics tablet or digitizing tablet, a computer input device for capturing hand-drawn images and graphics A graphics tablet (or digitizer, digitizing tablet, graphics pad, drawing tablet) is a computer input device that enables a user to hand-draw images and graphics, similar to the way a person draws images with a pencil and paper. These tablets may also be used to capture data or handwritten signatures. It can also be used to trace an image from a piece of paper which is taped or otherwise secured to the surface. Capturing data in this way, either by tracing or entering the corners of linear poly-lines or shapes is called digitizing. Digitizing or digitization is the representation of an object, image, sound, document or a signal (usually an analog signal) by a discrete set of its points or samples. The result is called digital representation or, more specifically, a digital image, for the object, and digital form, for the signal. Strictly speaking, digitizing means simply capturing an analog signal in digital form. For a document the term means to trace the document image or capture the "corners" where the lines end or change direction. A graphics tablet (also called pen pad or digitizer) consists of a flat surface upon which the user may "draw" or trace an image using an attached stylus, a pen-like drawing apparatus. The image generally does not appear on the tablet itself but, rather, is displayed on the computer monitor. Some tablets, however, come as a functioning secondary computer screen that you can interact with images directly by using the stylus. In computing, a stylus (or stylus pen) is a small pen-shaped instrument that is used to input commands to a computer screen, mobile device or graphics tablet. With touch screen devices a user places a stylus on the surface of the screen to draw or make selections by tapping the stylus on the screen. Pen-like input devices which are larger than a stylus, and offer increased functionality such as programmable buttons, pressure sensitivity and electronic erasers, are often known as digital pen. The stylus is the primary input device for personal digital assistants. It is also used on the Nintendo DS and Nintendo 3DS game consoles. Some Smartphone, such as Windows phones, require a stylus for accurate input. However, devices featuring multi-touch finger-input are becoming more popular than stylus-driven devices in the Smartphone market capacitive styli, different from standard styli, can be used for these finger-touch devices (iPhone, etc.). Graphics tablets use styli containing circuitry (powered by battery or operating passively by change of inductance), to allow multi-function buttons on the barrel of the pen or stylus to transmit user actions to the tablet. Some (probably most) tablets detect varying degrees of pressure sensitivity, e.g. for use in a drawing program to vary line thickness or color density. Some tablets are intended as a general replacement for a mouse as the primary pointing and navigation device for desktop computers. Internet tablet, a mobile appliance focused on Internet and media features is the name of a range of mobile Internet appliances that focus on Internet and media features. Internet tablets fall in the range between a personal digital assistant (PDA) and an Ultra-Mobile PC (UMPC), and slightly below Intel's Mobile Internet device (MID). Tablet computer, a mobile computer which is primarily operated by touching the screen. A tablet computer, or simply tablet, is a complete mobile computer, larger than a mobile phone or personal digital assistant, integrated into a flat touch screen and primarily operated by touching the screen. It often uses an onscreen virtual keyboard, a passive stylus pen, or a digital pen, rather than a physical keyboard. Electrical devices with data input and output on a flat information display have existed as early as 1888. Throughout the 20th century many devices with these characteristics have been ideated and created whether as blueprints, prototypes or commercial products, with the Dyna-book concept in 1968 being an spiritual precursor of tablets and laptops. During the 2000s Microsoft attempted to define the tablet personal computer (tablet PC) product concept as a mobile computer for field work in business, though their devices failed to achieve widespread usage due mainly to price and usability problems that made them unsuitable outside of their limited intended purpose. In April 2010 Apple Inc. released the iPad, a tablet computer with an emphasis on media consumption. The shift in purpose, together with increased usability, battery life, simplicity, lower weight and cost, and overall quality with respect to previous tablets, was perceived as defining a new class of consumer device and shaped the commercial market for tablets in the following year. The term may also apply to a variety of form factors that differ in position of the screen with respect to a keyboard. The standard form is called slate, which does not have an integrated keyboard but may be connected to one with a wireless link or a USB port. Convertible notebook computers have an integrated keyboard that can be hidden by a swivel joint or slide joint, exposing only the screen for touch operation. Hybrids have a detachable keyboard so that the touch screen can be used as a stand-alone tablet. Booklets include two touch screens, and can be used as a notebook by displaying a virtual keyboard in one of them. Tablet personal computer, a tablet computer which runs a full desktop operating system. A tablet personal computer or tablet PC is a tablet-sized computer that also has the key features of a full-size personal computer. A tablet PC is essentially a small laptop computer, equipped with a rotatable touch screen as an additional input device, and running a standard (or lightly adapted) PC operating system like Windows or Linux. The term was made popular with the Microsoft Tablet PC concept presented by Microsoft in 2001. Today, the term tablet is also used to refer to computer-like devices operated primarily by a touch screen but not intended to run general PC operating systems or applications. Microsoft Tablet PC, a pen-enabled personal computer specification announced by Microsoft in 2001.A Microsoft Tablet PC is a term coined by Microsoft for tablet computers conforming to a set of specifications announced in 2001 by Microsoft, for a pen-enabled personal computer, conforming to hardware specifications devised by Microsoft and running a licensed copy of Windows XP Tablet PC Edition operating system or a derivative thereof. Hundreds of such tablet personal computers have come onto the market since then.